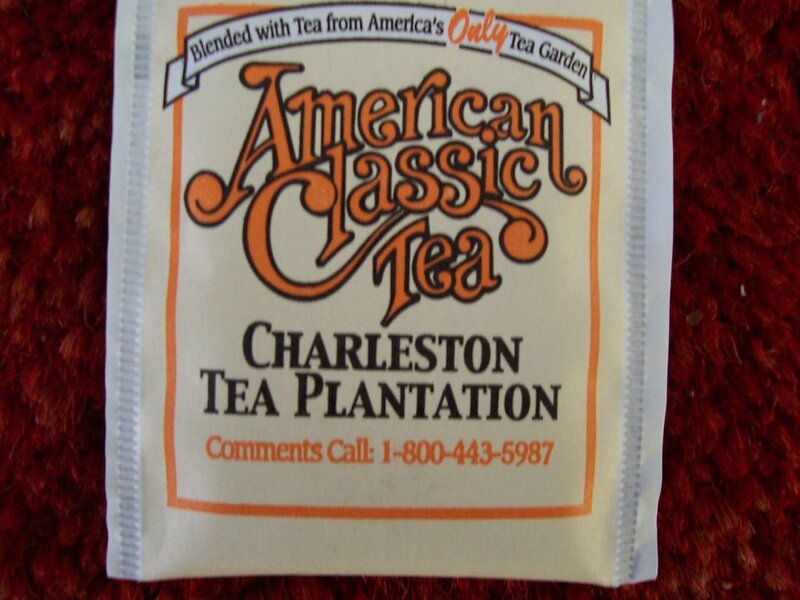 In April 2006 we travelled to Charleston, South Carolina for a wedding. 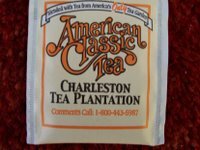 We were presented with a wedding gift bag which contained a box of American Classic Tea from the Charleston Tea Plantation. We brewed a cup today following, not too closely, the instructions on brewing tea from Womans Day magazine (dated May 9, 2006). We drew cold tap water to fill our kettle. 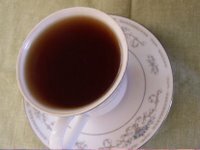 According to the article, the high oxygen content of cold water "brings out the full character of the tea." We did not bring our water to a rapid boil. Our kettle's rapid boil is very hot indeed and the article cautions against water boiled for too long. Elsewhere I have read that very hot water should not be used to brew tea. We steeped the tea in my lovely tea cups for 5 minutes (the maximum steep time). The brew was deep amber in color. 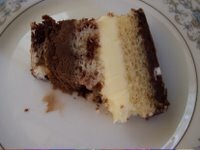 We drank tea (with honey) and ate cake. The "tuxedo" cake was purchased at a local grocery store. It was delicious.